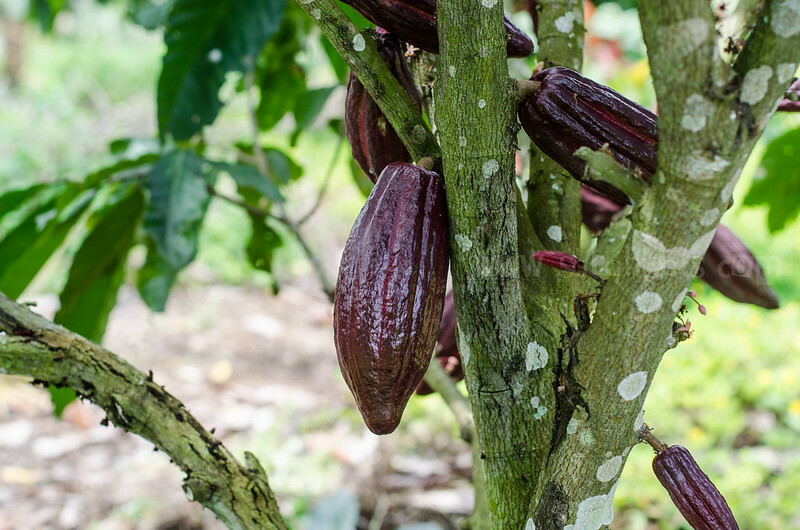 Cocoa is a tropical produce that grows and blossoms under sufficient sunlight. Its huge glossy pod indicated its stages of maturity, from an infant stage of dark red to a mature color of pink. Under the estate environment, the height of the tree is controlled between 15 to 25 feet while in the wild in could reach as high as over 60 feet. 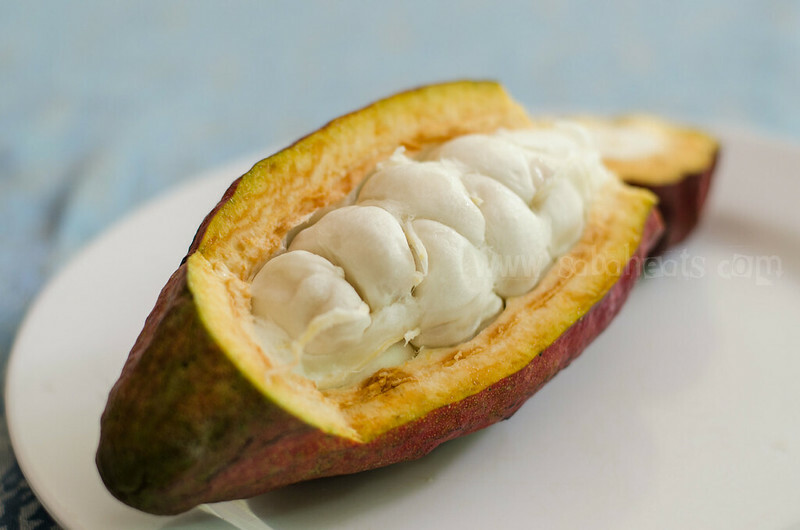 A standard cocoa pod has about 20 to 50 milky white cocoa beans. 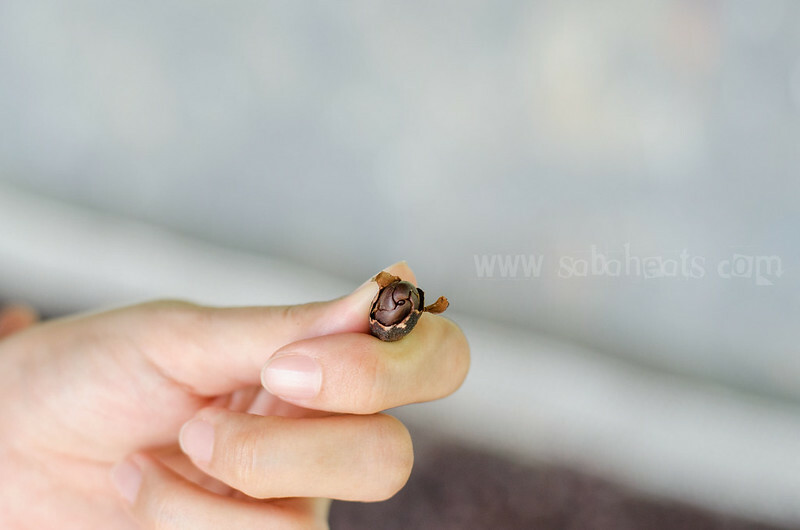 The seeds do not have the slightest resemblance of chocolate, not to mention the aromatic attribute that a chocolate emanates. 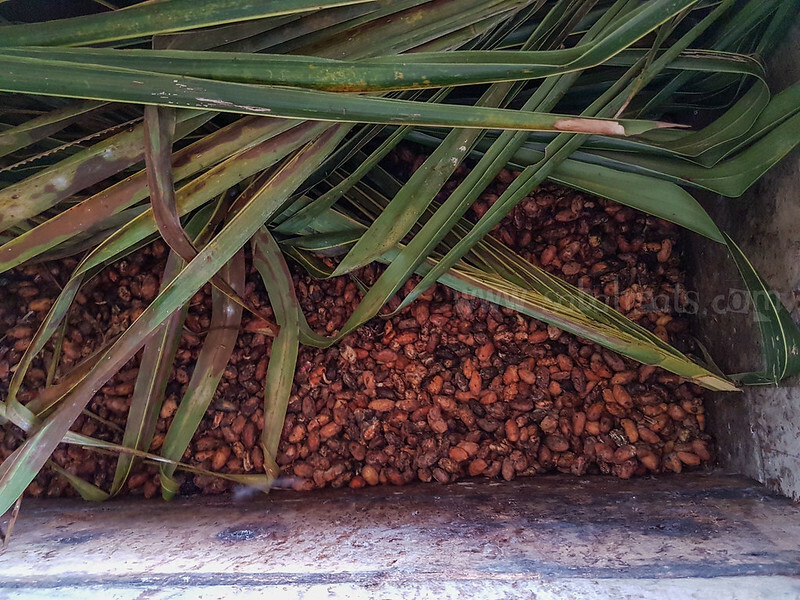 cocoa seed. 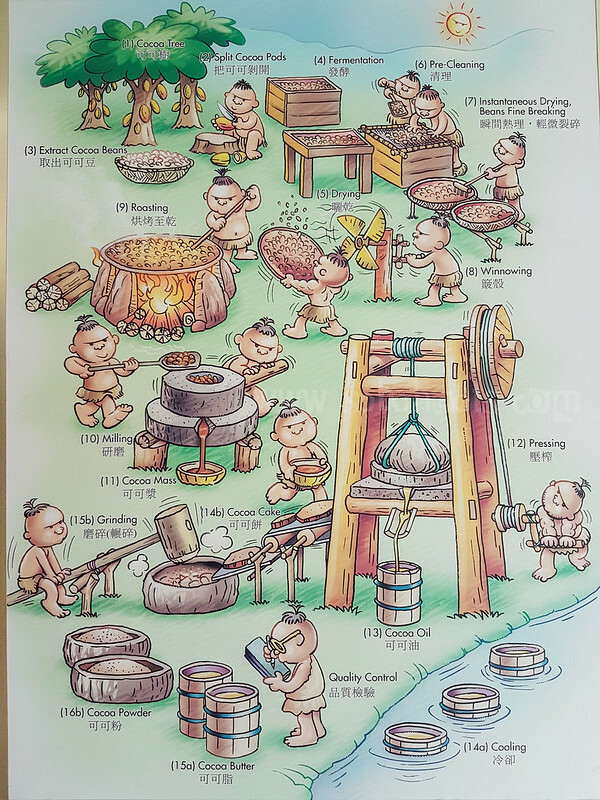 this is where we get the chocolate. 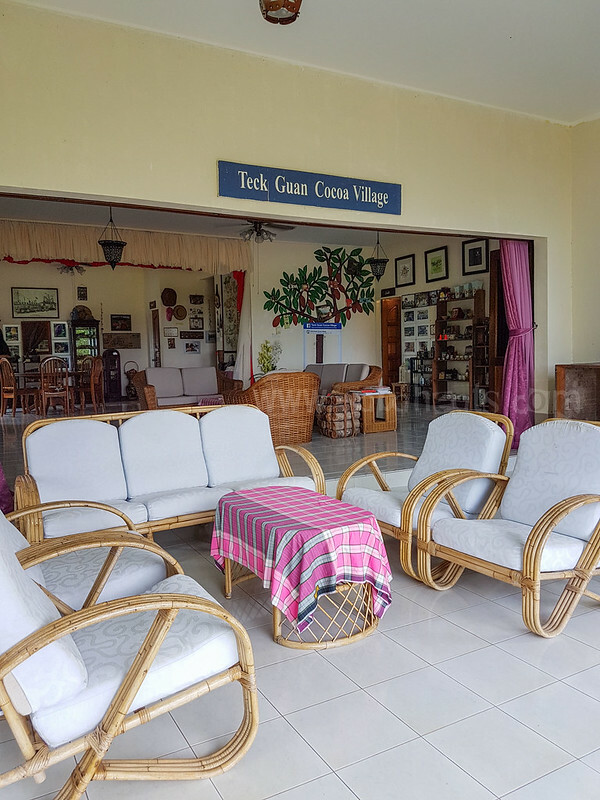 The formation of Teck Guan cocoa village was based on a natural and environment-friendly concept, with fresh water flowing freely on top of black fertile volcanic soil couples with the use of zero shade cocoa cultivation methodology to enhance the yield of the crop. The well planned and designed roads in this village are giving the feel of stepping into an agriculture college that provides a comprehensive study of coca cultivation in a conductive environment. The landscaping view from this dead volcanic site was indeed breath-taking. Beautiful scenery, fresh atmospheric surrounding, blue sky with exotic birds flying around providing a sense of “Heaven on Earth”. 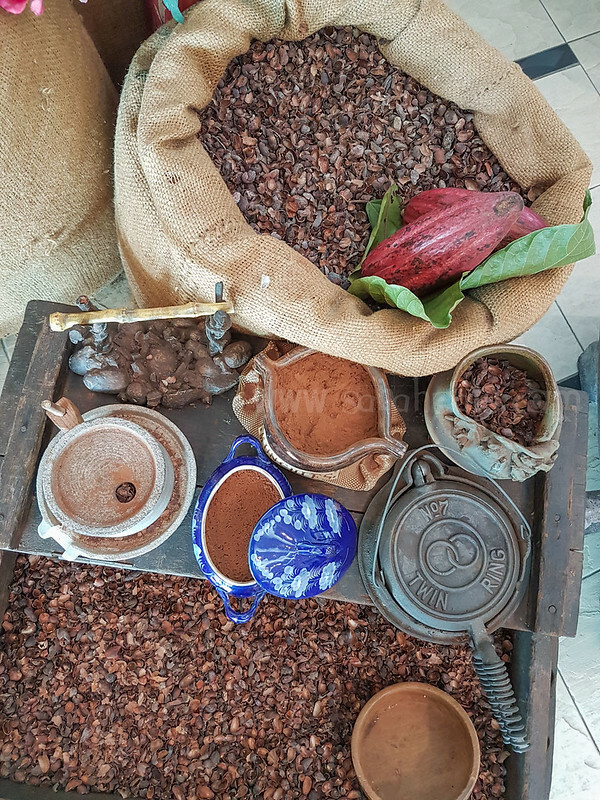 From strolling through the cocoa trees that carry colourful cocoa flowers and fruits to the pod harvesting and fermentation of cocoa beans processes is an experience that’s hard to forget. 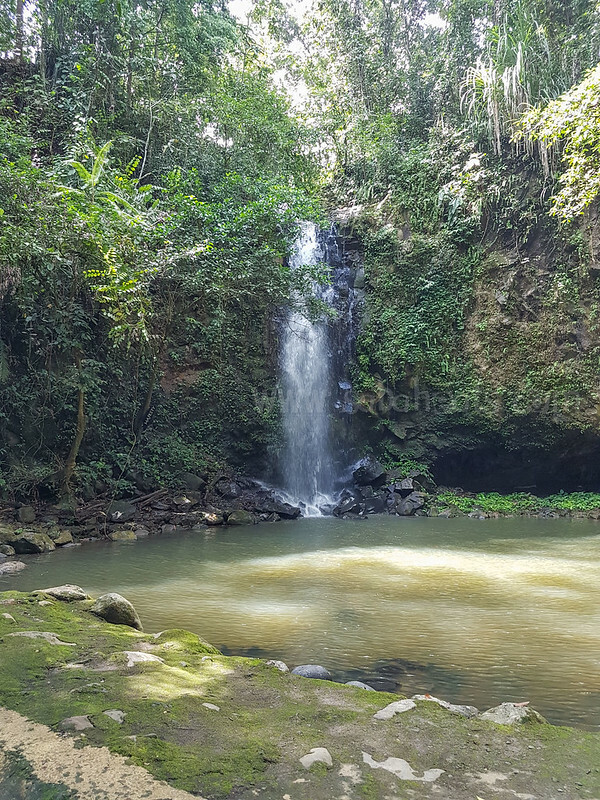 At one corner of the village, a majestic waterfall that leads to many other smaller waterfalls, forming a chain of rushing water that produces a soothing melody to the ears. An interesting place to get away from the hustle and bustle of the city. The water vapour that emanates from he fall of the water is just like a piece of white cloth waving through the air, providing a natural cooling effect. Along the walk-way, there are many exotic flowers and plants accompany this wonderful journey to a unique and mesmerising view on the columnar jointing reminiscent of a volcanic eruption, the one-of-kind picturesque scene on Earth that is sure to captive anybody’s wildest imagination. 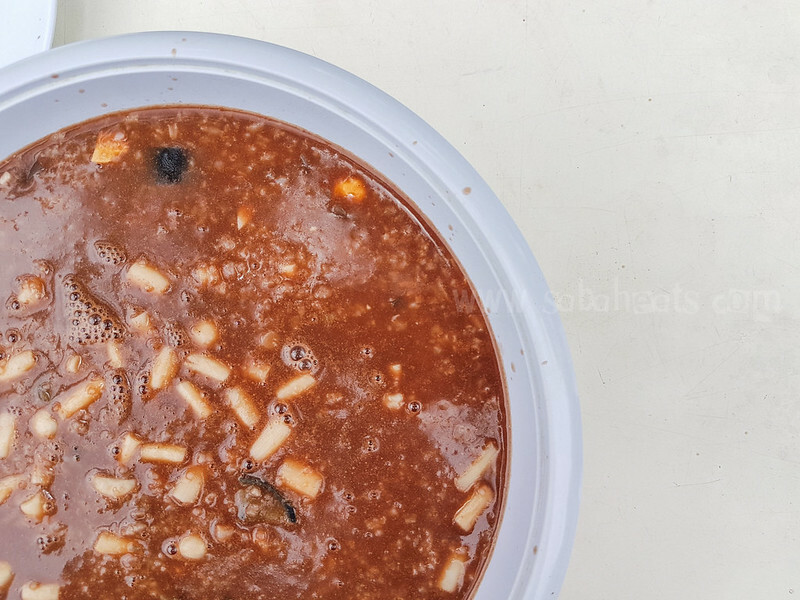 The cocoa house in the village is not only a place for refreshment but it’s where unique and delicious high Flavanol-content cocoa cuisine are served, such as cocoa rice, cocoa noodle, cocoa fish slice, cocoa pumpkin, cocoa prawn roll, cocoa banana roll, cocoa jelly, pure cocoa brownie, cocoa juice, etc. 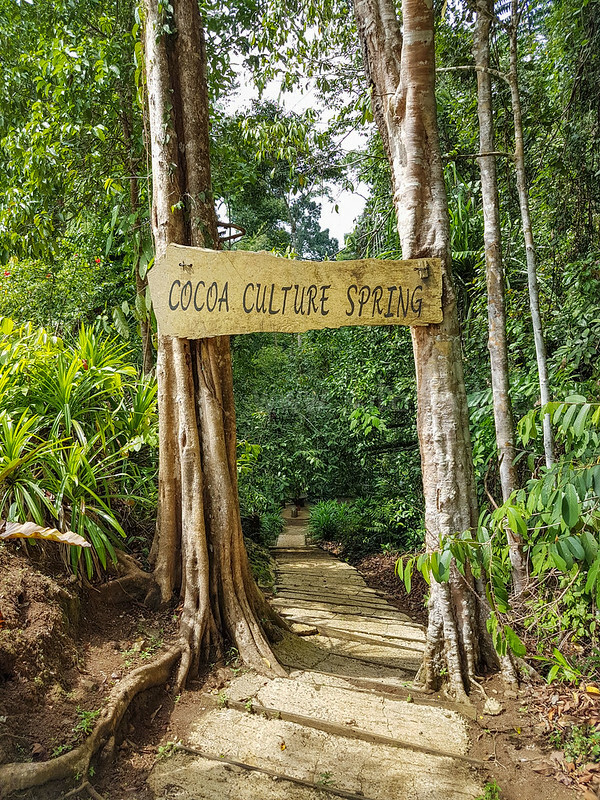 The journey of cocoa adventure does not end here. 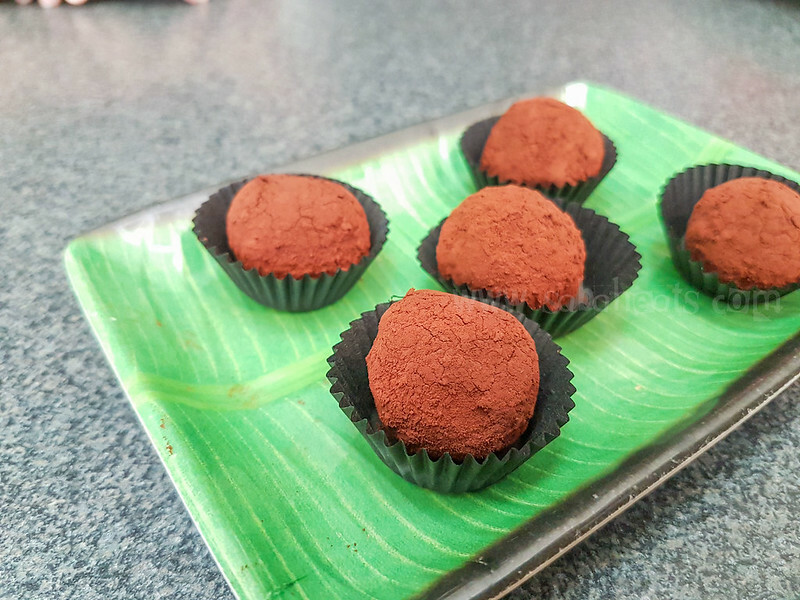 A visit to cocoa factory to get the first-hand information the cocoa processing into beverages and chocolates is a must. 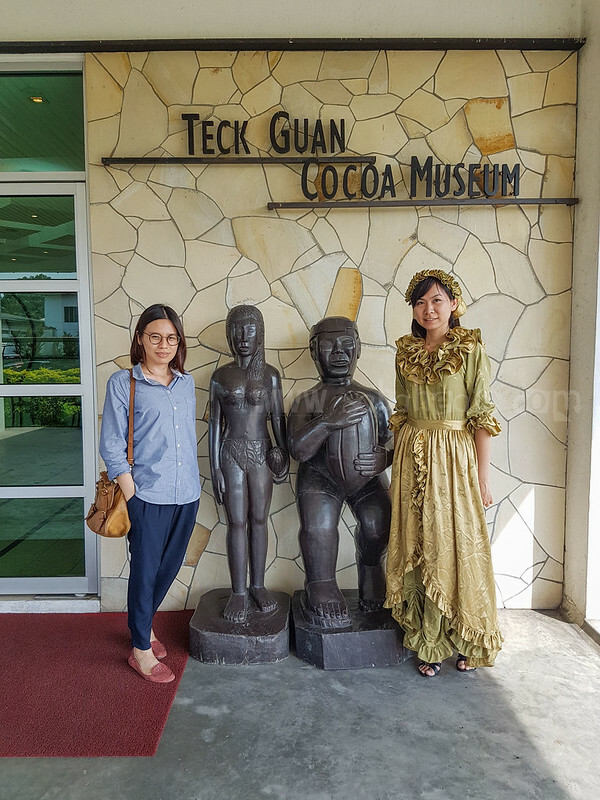 A 10 minutes drive from Tawau town to Teck Guan cocoa factory (Known as Majulah Koko Tawau) in Tanjung Batu is a dream come true especially for chocolate lovers and non-chocolate lovers alike.The exclusive and comfortable museum is the brainchild of Teck Guan MD, Madam Hong Kim Fah. 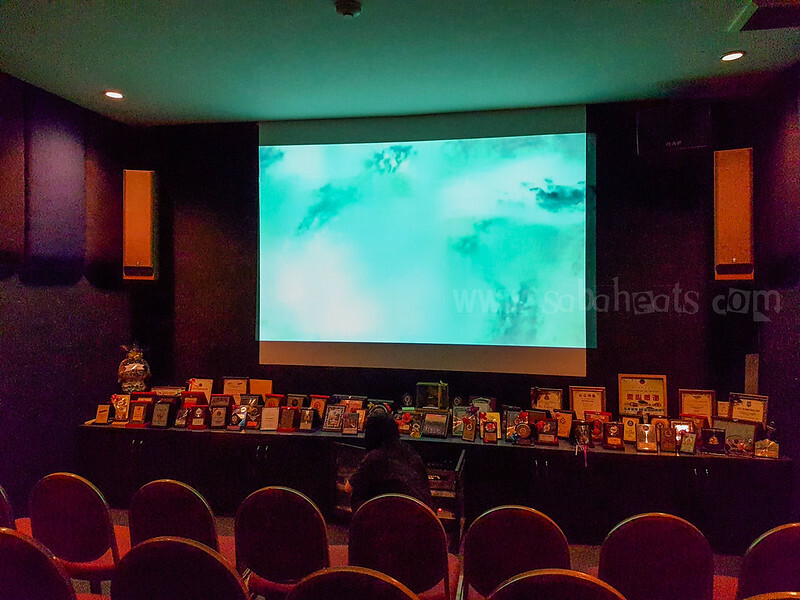 There is a mini auditorium where a 20-minute video on cocoa processing and production is played. Here, a high-tech visual studio that could accommodate a few dozens of audiences, provide useful and educational information of the origin and goodness of cocoa. The most significant part of this presentation is the highlight of “cocoa is full of antioxidants compound, the best food for heart problems and high blood pressure patient”. 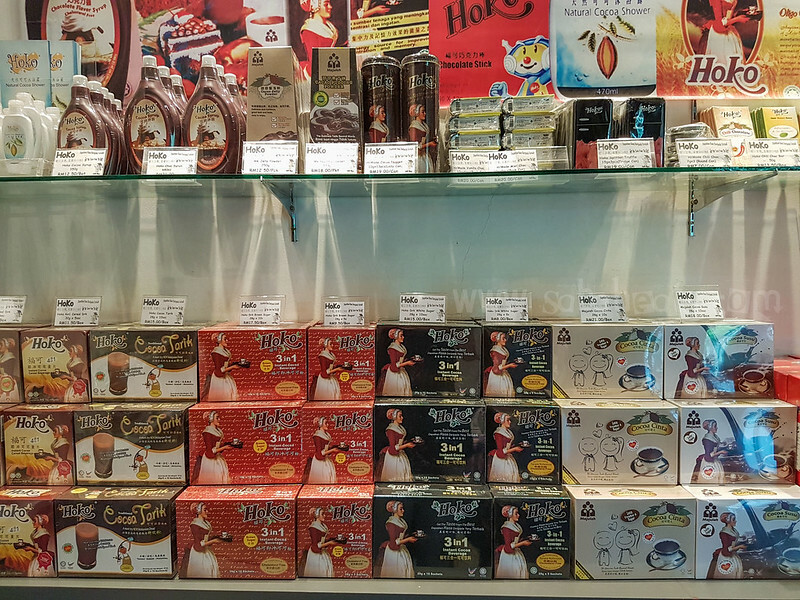 Hoko, the brand name of the group, is manufactured along this nutritional value to provide the same properties as acclaimed in its range of beverages besides its handmade chocolate products. The Kuna Indian drink about 5 cups of cocoa every day that Harvard researchers found that they have perfect average of blood pressure. They are even protected from heart attacks, stroke and diabetes. Researchers from University of Nottingham in England also discovered that cocoa contains antioxidant which is known as flavanol can increase blood circulation in brain and thus able to prevent from Alzheimer’s disease. A chocolate with pure cocoa content is actually a good health supplement that many has misconstrued. For instance, the tooth decay in children was widely believed to be caused by the consumption of chocolate. 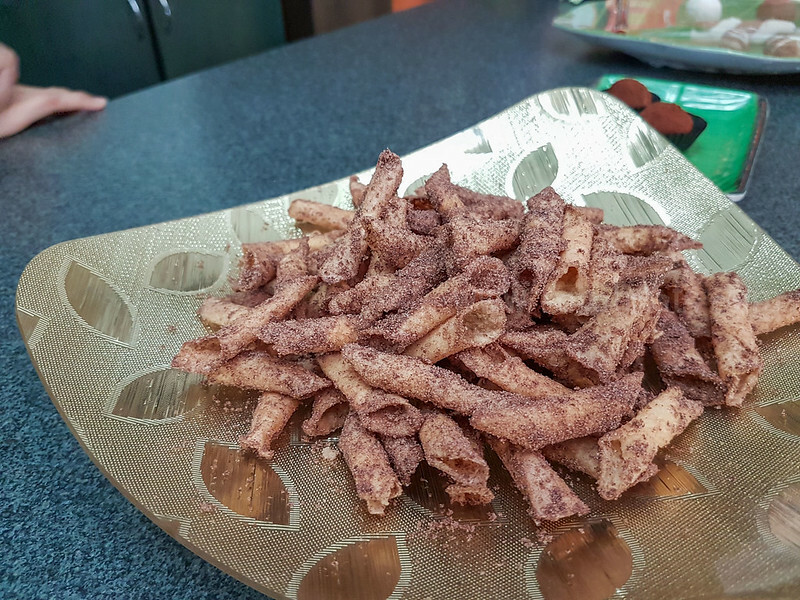 The real fact is the decay was due to the high sugar content in the non-pure cocoa chocolate and not the essential elements for good health, and as best source for instant energy. 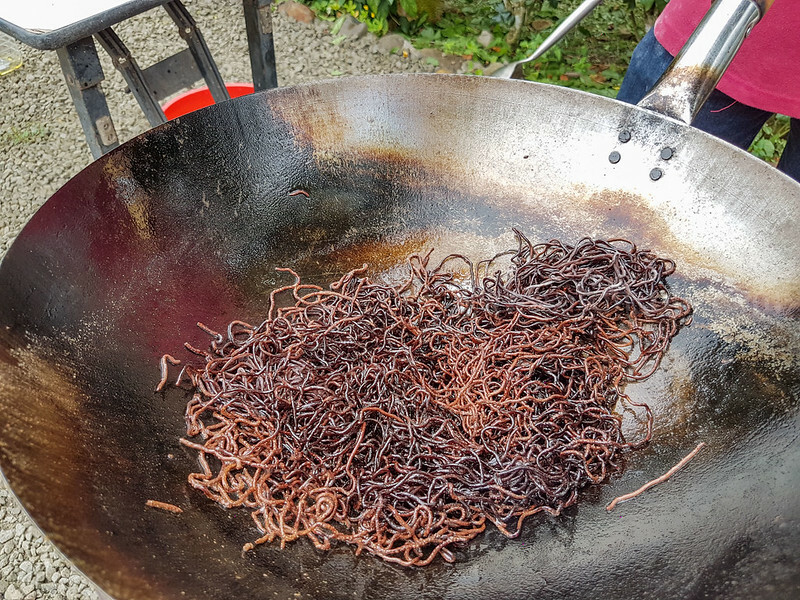 Inside the Teck Guan museum, there is a so-called cooking plaza to enable visitors to understand and learn the different ways of using cocoa in the daily diet. 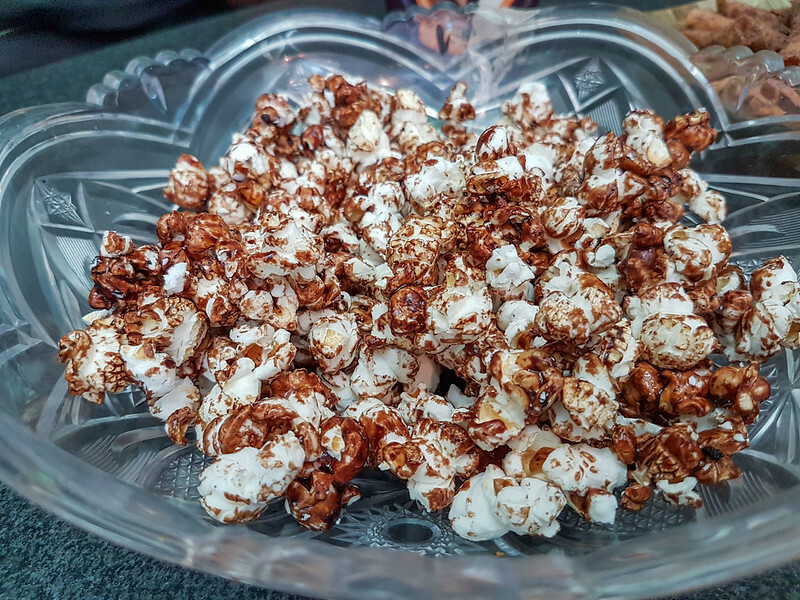 The visitors will be served a variety of highly nutritious cocoa snacks and dessert such as cocoa glutinous ball, cocoa ball with coconut slice (one one), cocoa ball with anti-noisy powder, cocoa pudding, cocoa popcorn, batang buruk, pure handmade chocolate, cocoa, splitter truffle, cocoa drink, etc. 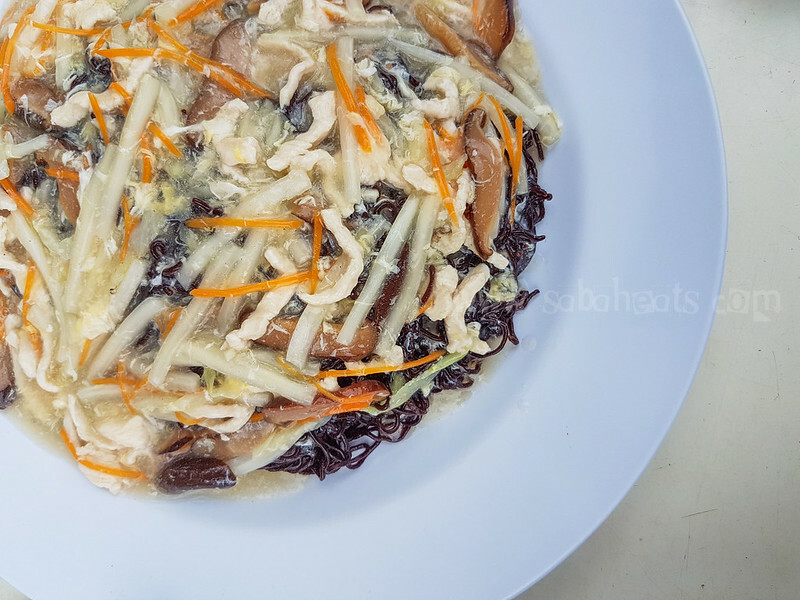 In order to experience more cocoa culture, pre-arrangement of Malaysian style cocoa lunch can be made as well. 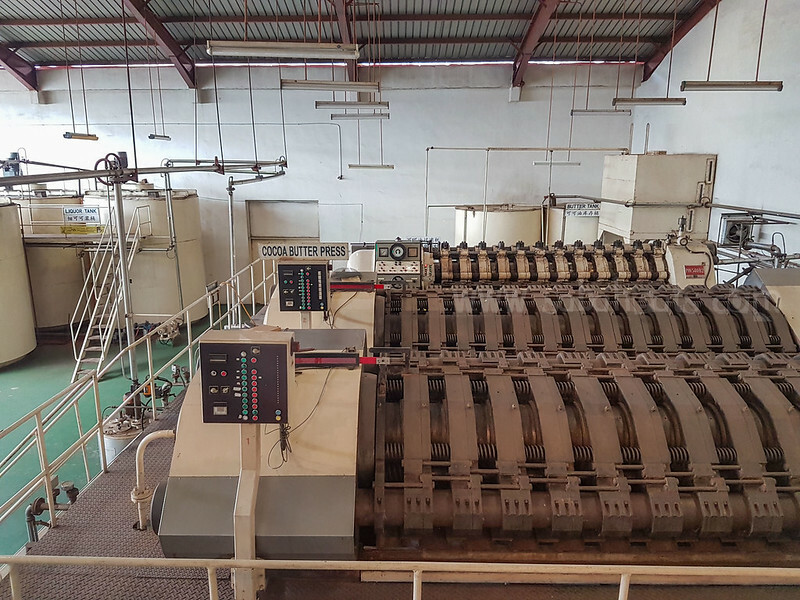 Also, there is a wide range of cocoa downstream product available for sales. 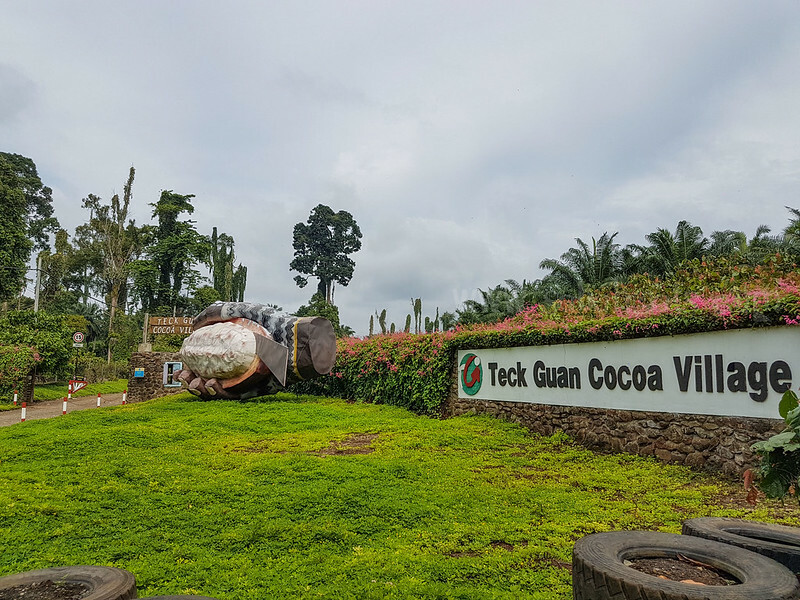 Teck Guan Group is rated a the world’s one and only cocoa provider that had a so-called complete “life supplement system”, with vertically integrated cocoa production from cultivation, harvesting, processing, manufacturing to marketing. 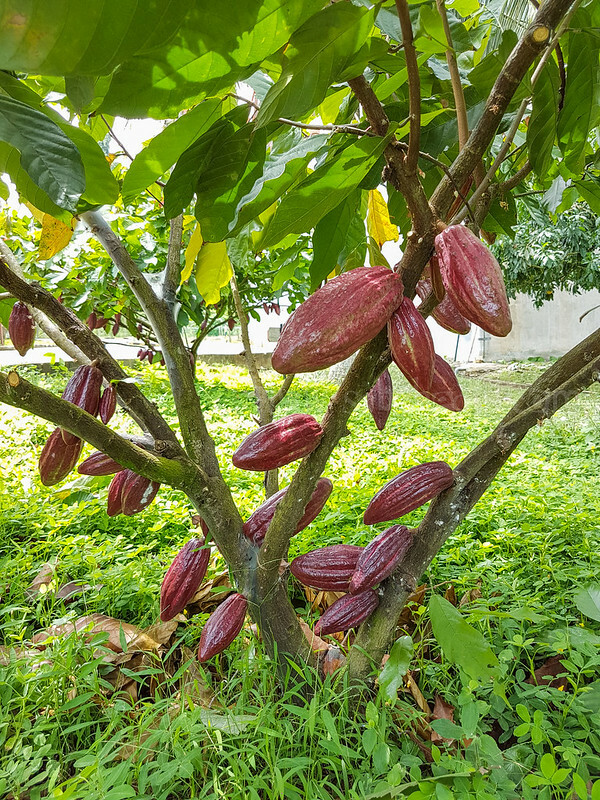 To-date, it is the country’s largest Amelonado cocoa producer that continues to use the best quality cocoa beans and the latest technology to produce the pure cocoa powder of its kind. 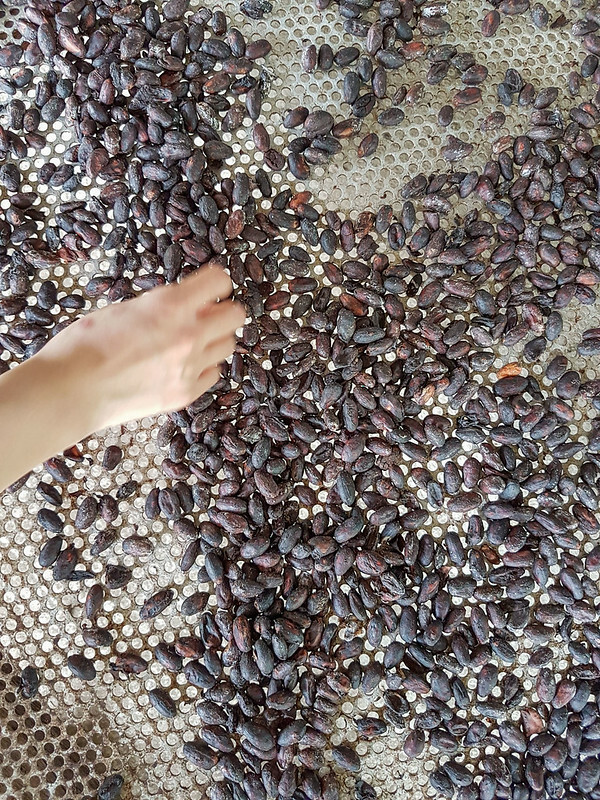 Experience, tradition and Technology are the secret recipes for Majulah Koko to be successful in its endeavour to become the World’s leading brand of cocoa powder. How about the entrance fee?